Patna.6-10 January: The New Year saw the entire north India reeling under the intense cold waves, with the temperature fluctuating between 3-16 degrees Celsius. 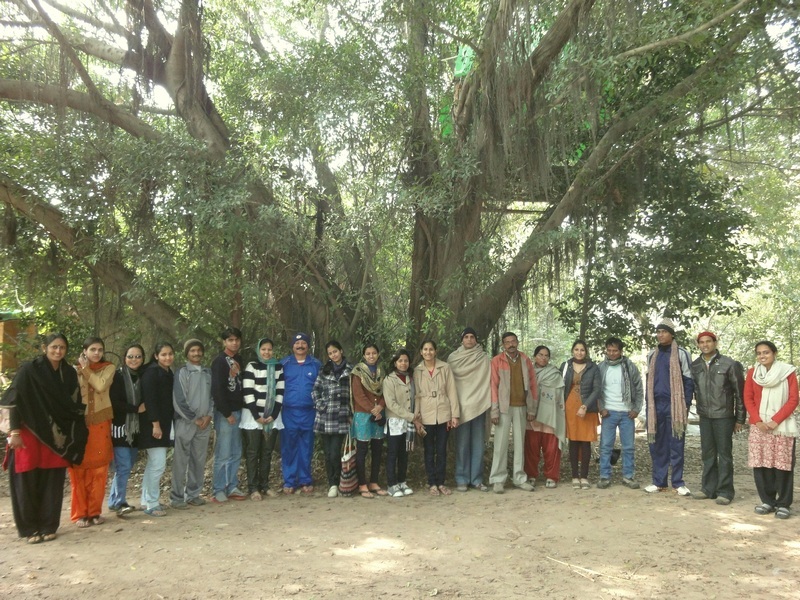 In the meantime, 25 Teachers from Pushp Niketan school Dhampur, Western U.P congregated at Tarumitra for a workshop on Art and Environment. 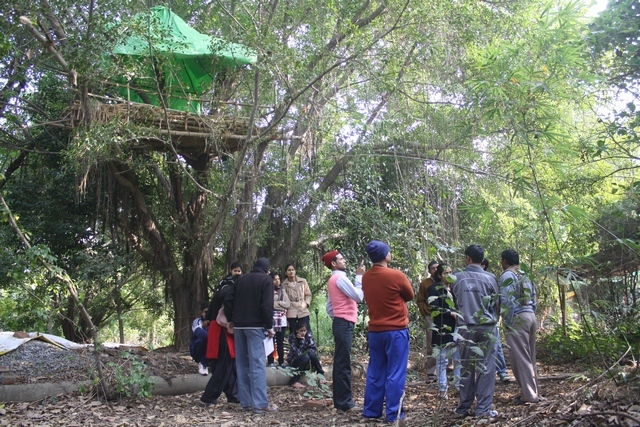 The workshop consisted of creative experiments of a fusion of art and education. The group worked on the mediums of soil, deadwood, waste materials; each of the teachers expressing their thoughts into remarkable visuals and installations. The group gathered around a winter fire every day! Pushp Niketan School “Abode of flowers” is located in a semi urban town of Dhampur in the Dhampur Sugar Mills campus in Bijnor district of Uttar Pradesh State in India. It is visualized to be a world class model for progressive education with child centric education philosophy, pedagogies and processes. Here, the school is established a non hierarchical, alternative school system promoting excellence in learning and sound values in a safe, supporting and stimulating environment. Volunteers from other countries have come to add their mite to the Internationality of the school atmosphere. Six years old, the School is ably coordinated by Rtd. Major Rajesh Ranjit and his charming danseuse wife Nisha. Singing that crawled into late nights: alive with dafli and drum! Among the teachers there was a whole pool of talents. Pushpendra Chauhan with his deep sonorous vocals, Vineet with his drum, Gautam with his artistic mastermind brought up so much of joy to the group. Rahul co-ordinated the event. 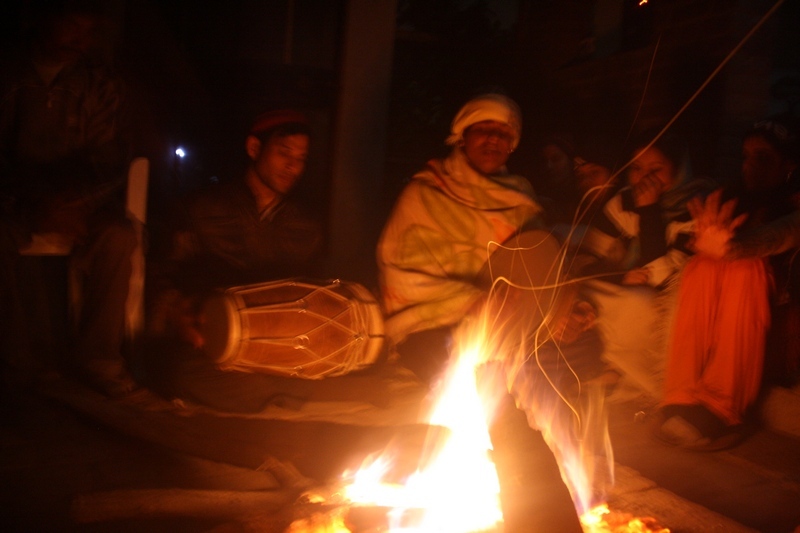 One of the participants recollected that the best part of the workshop was the daily gatherings around bonfires under the sunshade outside Uttarayan building at Tarumitra. The teachers shared their stories among themselves spiced with some good quality singing led by the teachers. One evening, a student of classical singing, Ms Sugandha created magic with a mellowed rendition of Raag Bihag. Considered a super chef, Ms Margaret Molomoo delighted the gathering with her impromptu herbal soups right on the bonfires! She had a way of creating a scintillating fare with a wide array of medicinal herbs collected from the bio-reserve! One of the resource persons, Ms Sugandha created magic with Raag Bihaag! Green architect, Fr. Joe Parekattil S.J who was present for the entire camp commented positively on the creative contents of the workshop. This entry was posted in Tarumitra on February 3, 2011 by tarumitra. Stumbled on your spot while searching for eco-camps! I envy those lucky teachers who spent a week at your bio-sphere reserve. I can barely imagine people sitting by a fire sipping herbal soup. Fantastic to say the least. 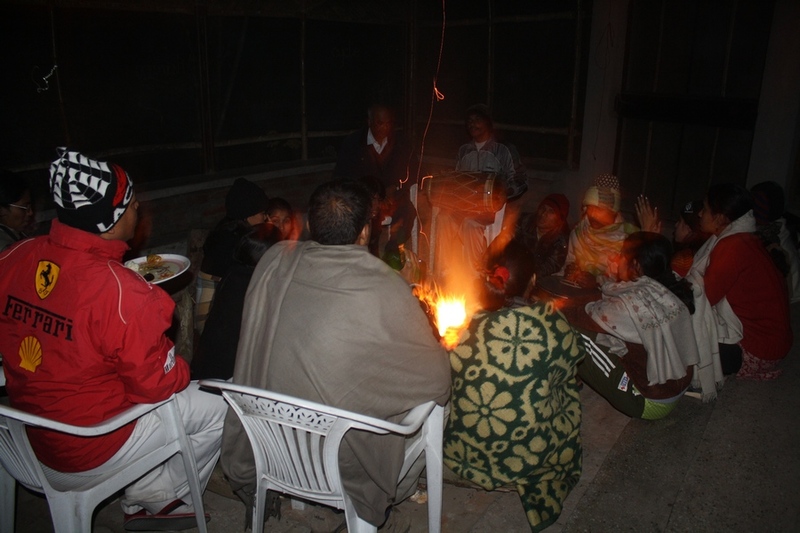 Simple joys like sipping herbal soup around a winter fire can be created at no great expenditure! All you need are some good souls and a modest fire. Please remember to put off at least one bulb/tube light in lieu of th fire! Dr. R.N Trivedi used to say that one big bonfire does not pollute as much as a tube light because one unit of electricity is made by burning 52 kg of solid coal.